Karren Manuel is the co-founder of The I Am a Father 5K, Inc., a nonprofit organization that focuses on Strengthening Families One Mile at a Time. Annually, the organization hosts a 5K event that draws close to 1,000 participants in only its second year of existence. In addition to that, she provides executive level concierge service to many nonprofits and small businesses in the Metro Atlanta area. Prior to leaving corporate America and an exceptional career with Wells Fargo Bank, Karren gained a wealth of knowledge and experience in the Corporate Banking sector that makes her a “secret weapon” to any business large or small. Humble beginnings, she started as a temporary receptionist and worked her way up, leading over 100 support staff in multiple states across the footprint. In her roles, she served as a liaison to senior management, supervised multiple teams and developed strategy for organizational growth and advancement. Ms. Manuel has served as the VP of Business & Professional Women-Atlanta Chapter, Atlanta Public School’s Guidance and Counseling Advisory Board, Local School Council (APS), and the Black and African-American Network (Atlanta) for Wells Fargo Bank. 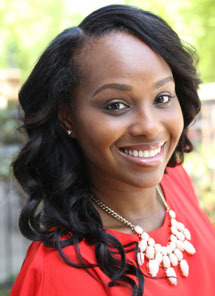 Ms. Manuel currently works to provide business solutions and strategy for small business and non-profit clients. She frequently volunteers her time, talent and resources to local community events for 100 Black Men of America, Porter Sanford Performing Arts and Community Center, My Brother’s Keeper (DeKalb County) and many others. Ms. Manuel is married and has two sons and a daughter.